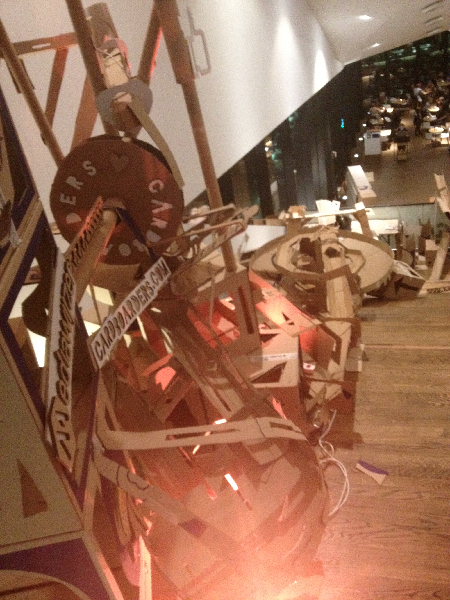 Picnic is the first festival in the new building for the Amsterdam Filmmuseum EYE. 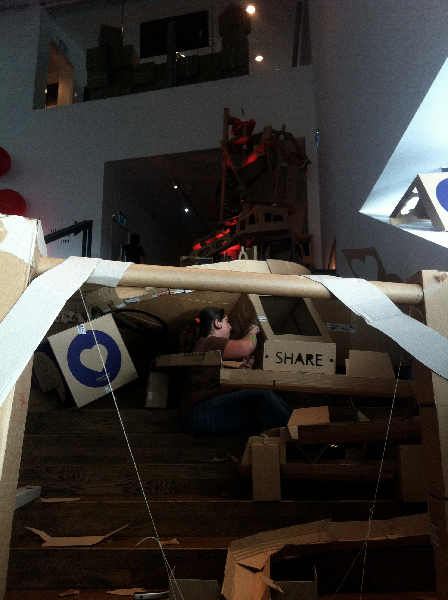 It is the best location ever! 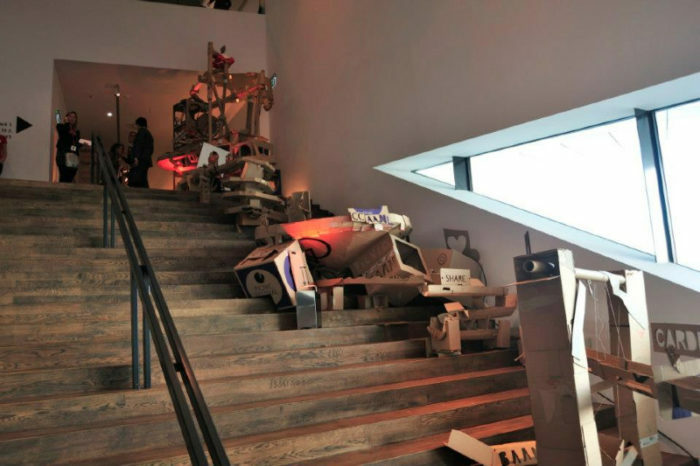 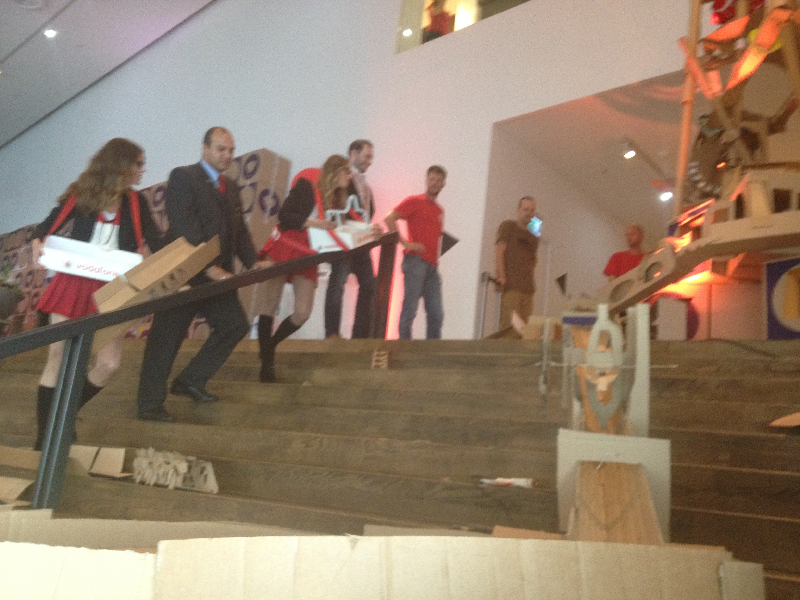 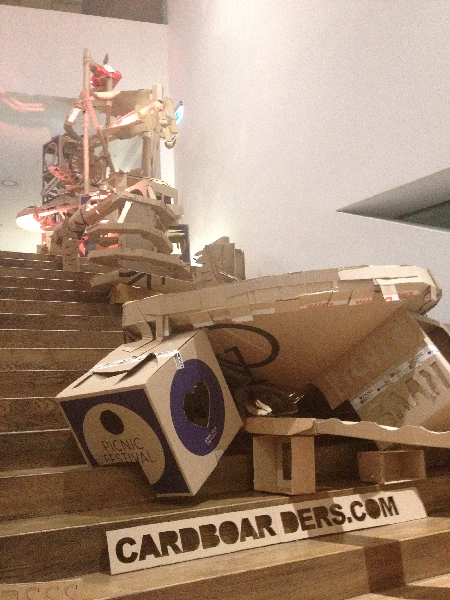 They asked us to come and build something and when we saw these stairs we just couldn’t resist dropping something! 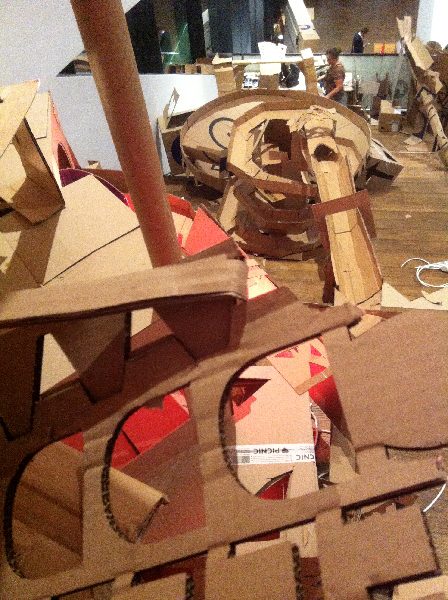 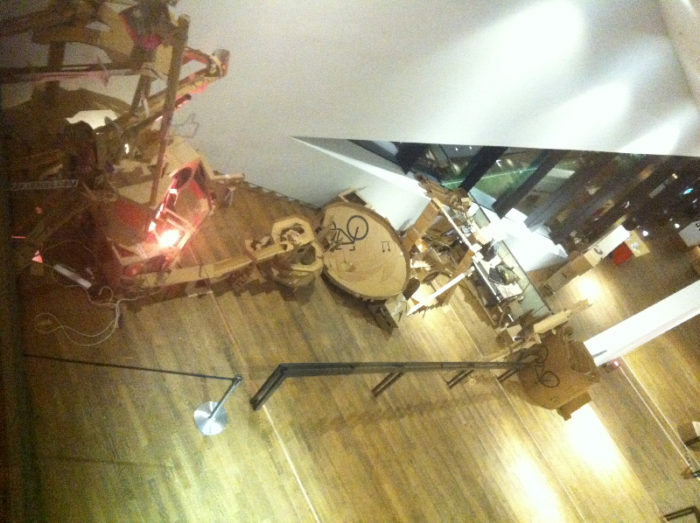 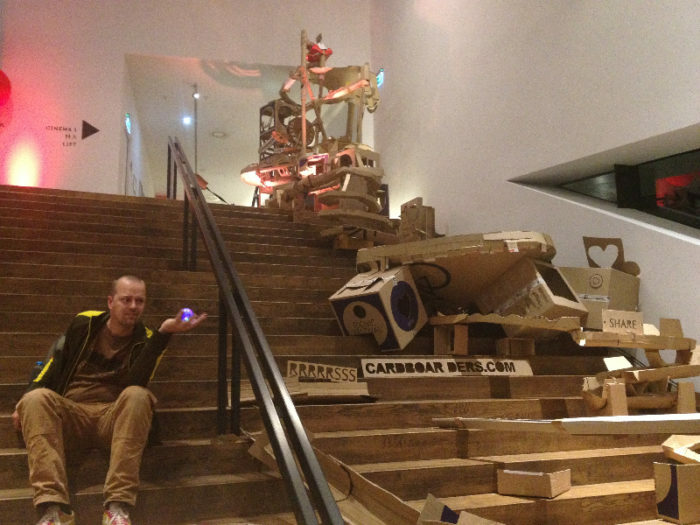 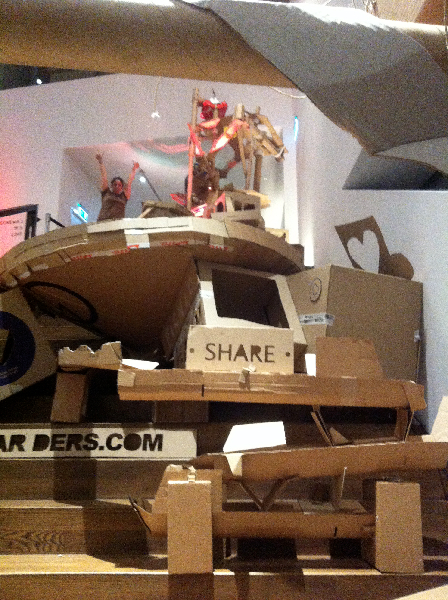 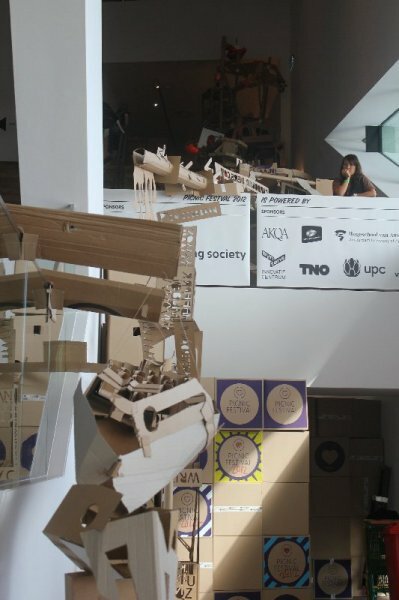 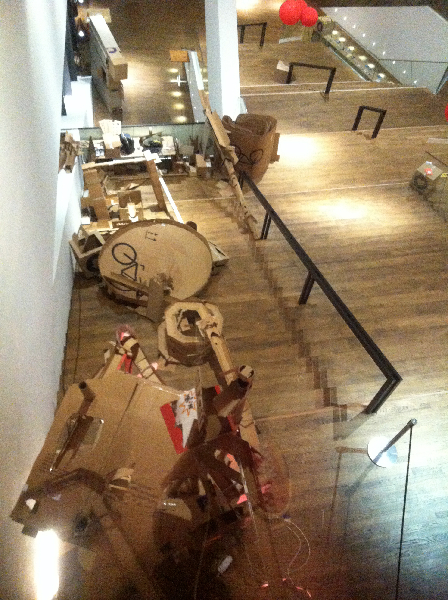 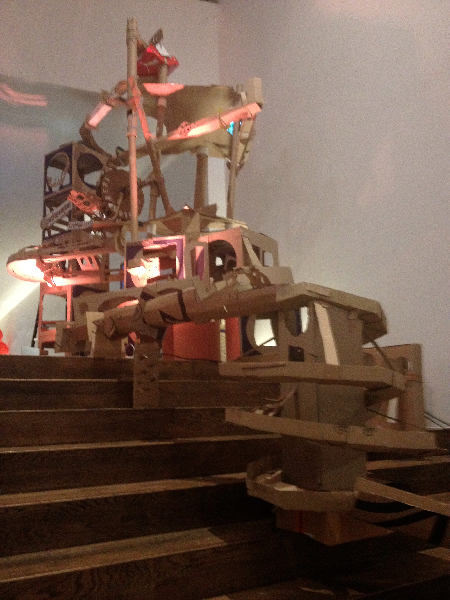 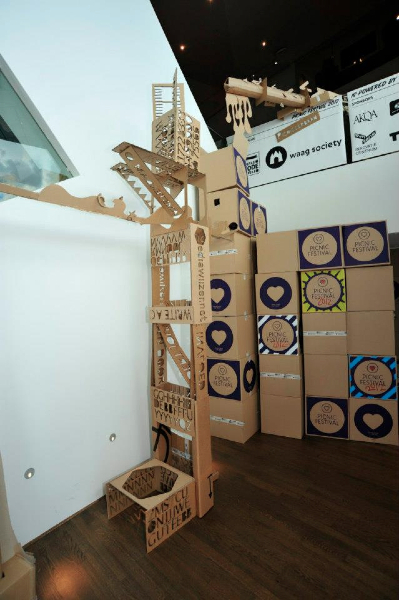 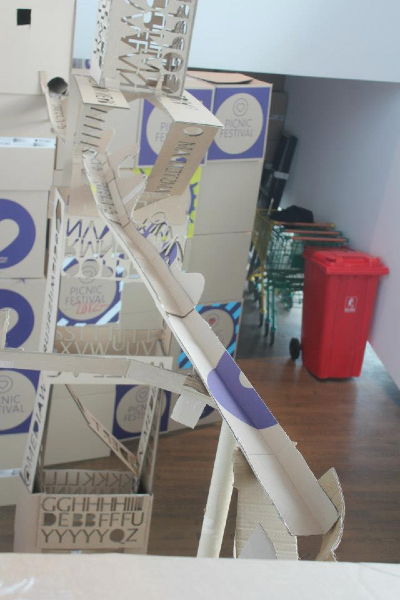 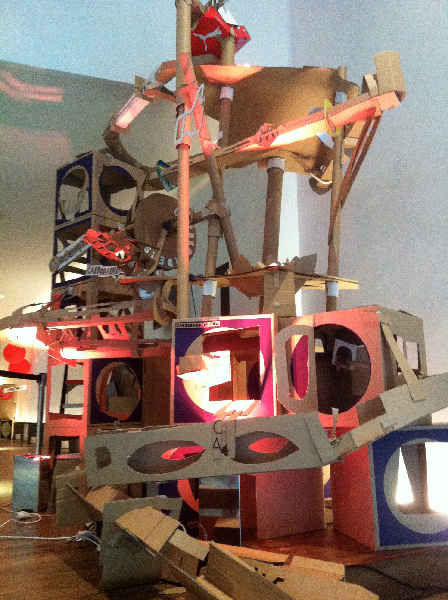 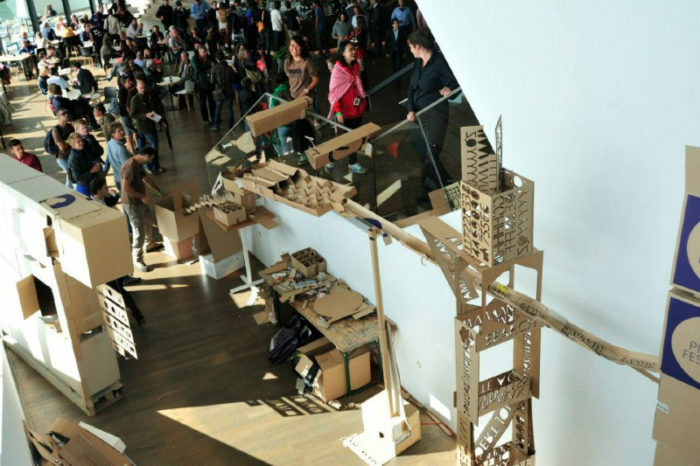 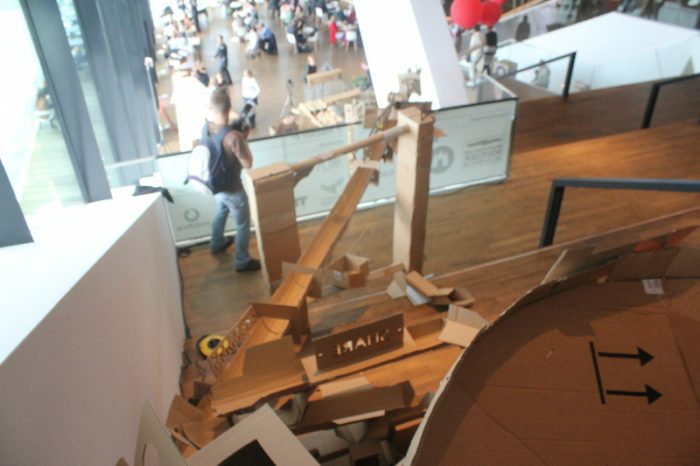 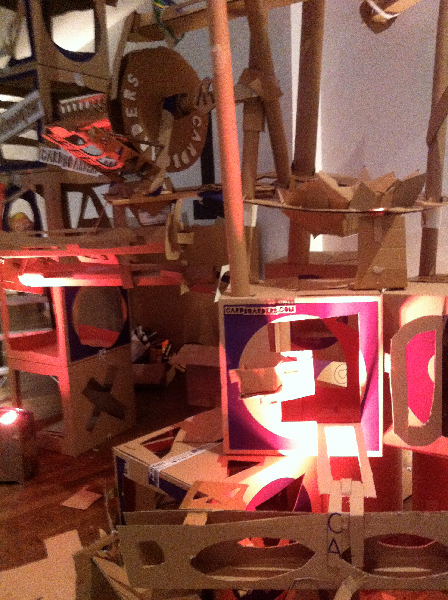 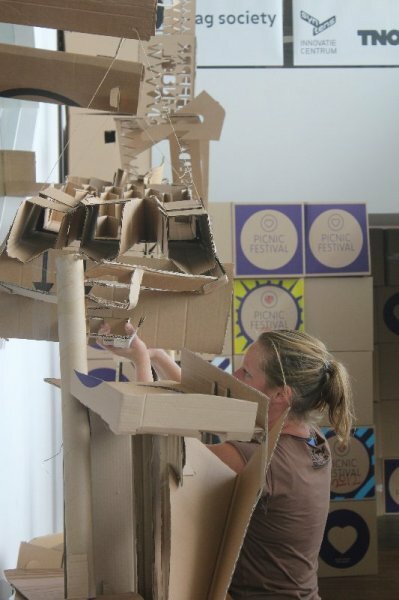 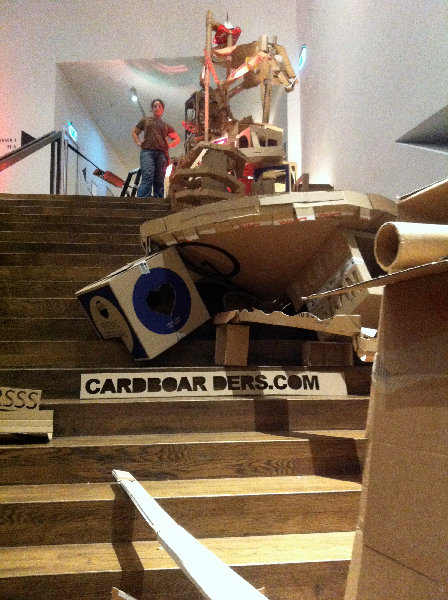 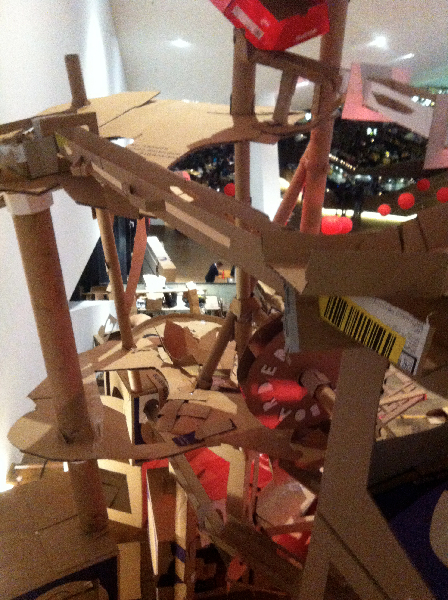 So we built a Giant Cardboard Marble Run during the festival. 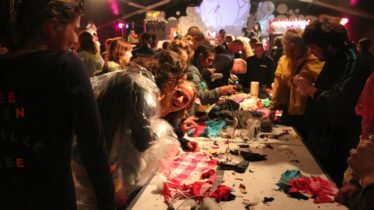 With some help from the audience we created it in the two days of the festival and it made several clear runs! 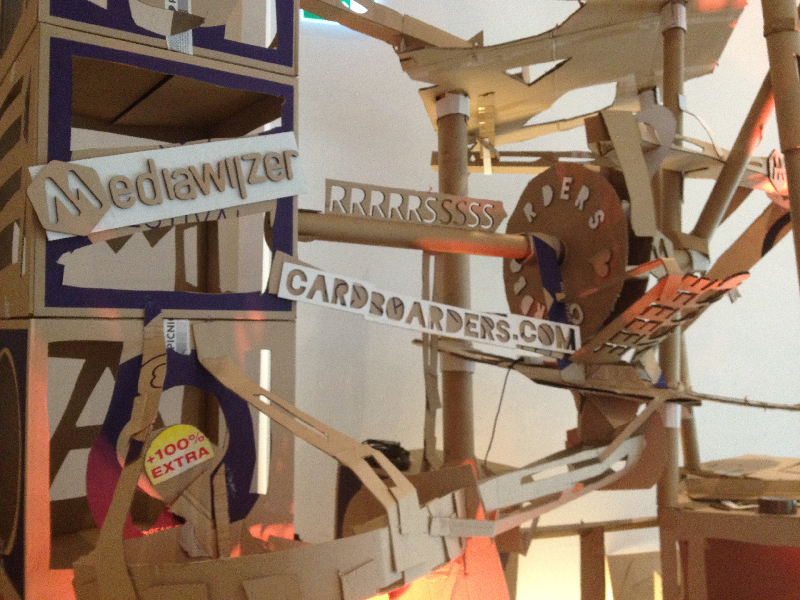 We we’re sponsored by Mediawijzer.net a dutch organisation that creates awareness about media. 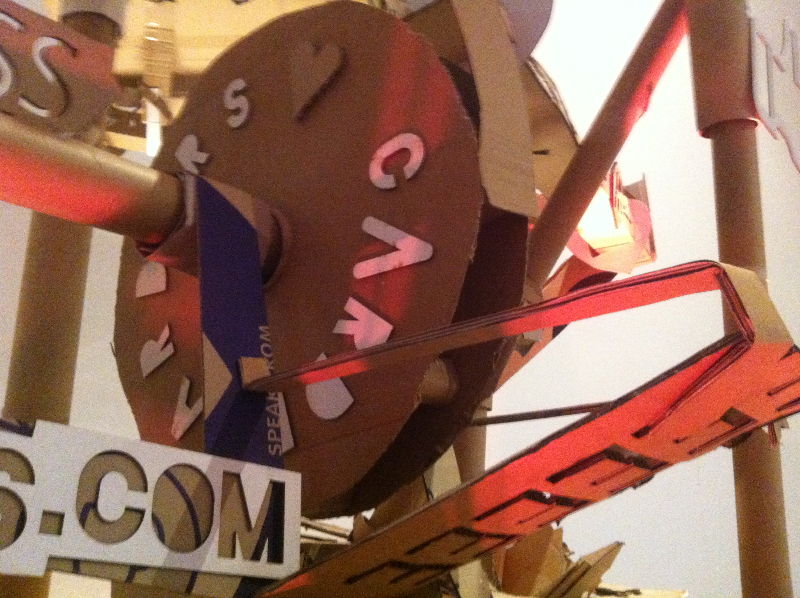 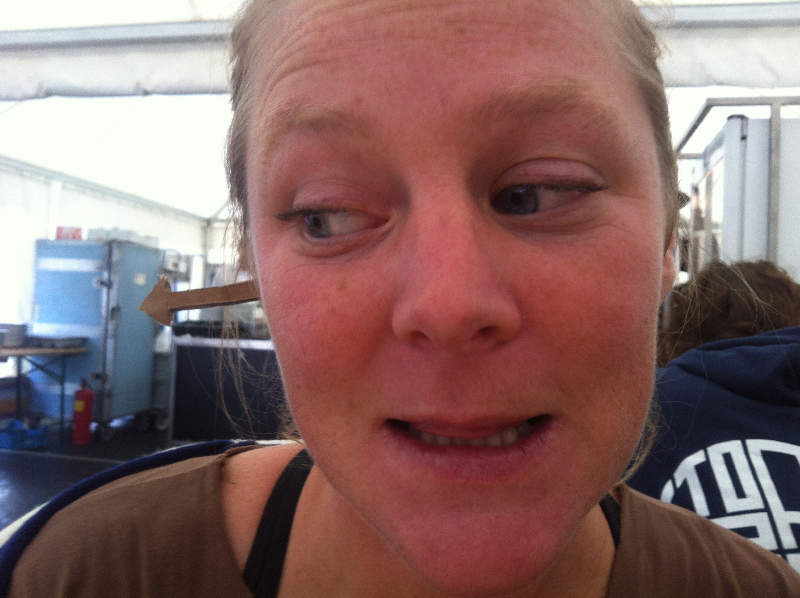 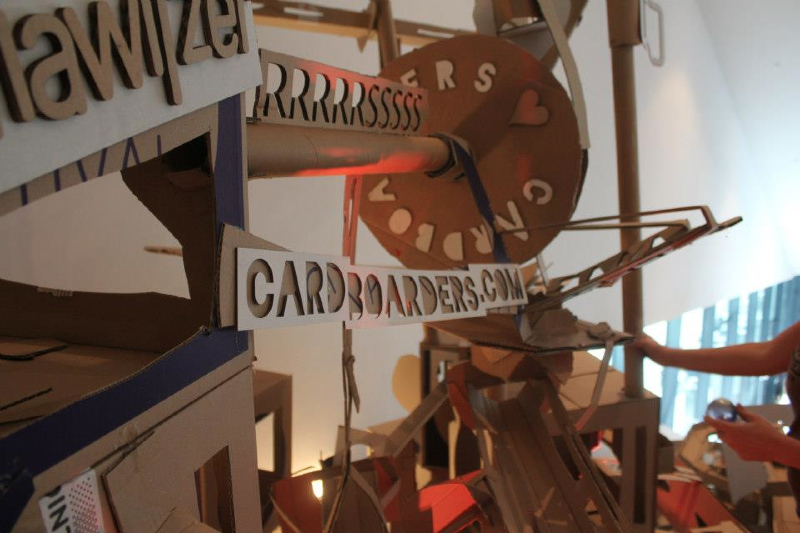 Cardboarders Crew this time were Michael Veerman, Astrid van der Velde, Albert Kannemans, Koos Schaart, Janneke Stegink, Stefanie Weijsters, Josephine Beijers and Mathijs Stegink! 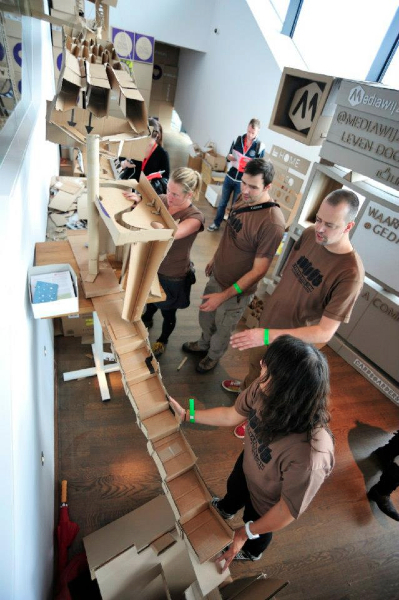 Who makes the longest Marble Run?